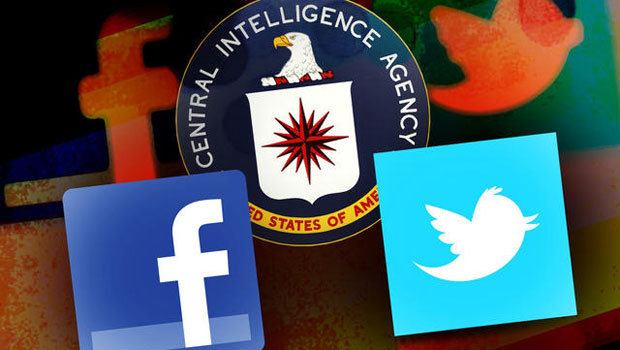 A recent report has revealed that the Department of Homeland Security, through a private contractor, is monitoring Twitter and Facebook for words that may indicate suspicious activity. The program has been running for over a year, and alerts authorities to various flag words like “infection” and “ammonium”. The program was brought to light by a Freedom of Information request from a privacy group, Electronic Privacy Information Center. The watch words are generally common and innocuous, but when you put too many of them together, it’s a sure-fire way to catch terrorists. The effectiveness of the program is under question, because it targets innocent people, while the likelihood of actual enemies of the State posting requests for recruits and weaponry on Facebook is slim. Some of the watch words include various drug substances, like “cocaine”, “heroine”, or “meth”, listed because of the ongoing drug war and the current border issues with Mexico. Other words are even more random and can’t be easily explained, like “pork”, “cloud”, and “wave”. So remember to not post on Twitter that you saw a cloud that looked like a cupcake, or you’re in part of the world that’s experiencing a heat wave, because your post might go on the watch-list. If your post is flagged as suspicious, further investigation could be initiated and shared with other government agencies. In short, what we have is a clear invasion of privacy. With so much of the world interacting in cyberspace, this allows the government to monitor all the goings-on in our lives. Furthermore, it enables them to build phony cases against anyone they please by stringing together Twitter posts about their throat infection. Interested in ammonium-free household cleaners for environmental reasons? Well, don’t post about it, because you might be a threat to the nation. No one is arguing that Facebook and Twitter posts are private property. The whole point of social media is to connect with people and share your thoughts with the world. But most people don’t make a post about their family dinner that included pork and expect to be entered into a government database. The feds have no business collecting this personal information that is meant for friends and family, and saving it for future bogus criminal cases. The government is on a steady march towards being able to imprison its citizens on a whim, and this secret program is a strong cornerstone in that plan. It’s already been killing American citizens without significant pushback. At least authoritarian countries like China are clear about what they are doing – the United States government engages in the same actions while trying to convince the people that they are still living in a free and democratic nation.